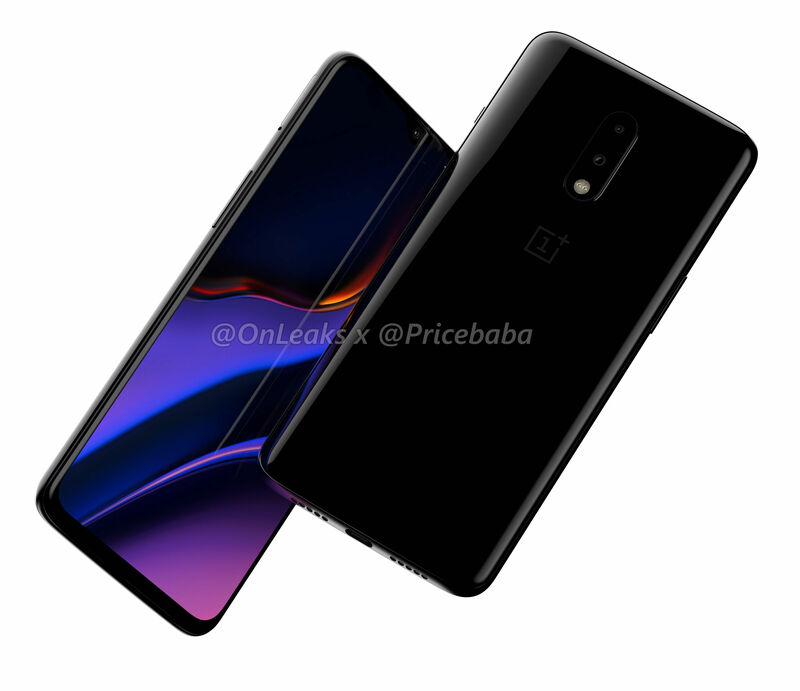 OnePlus 7 has been one of the hottest topics on Android this year, and as we’re inching towards the month of May, speculations and rumors have already started surfacing on the internet about the launch, design and specs of the next OnePlus device. 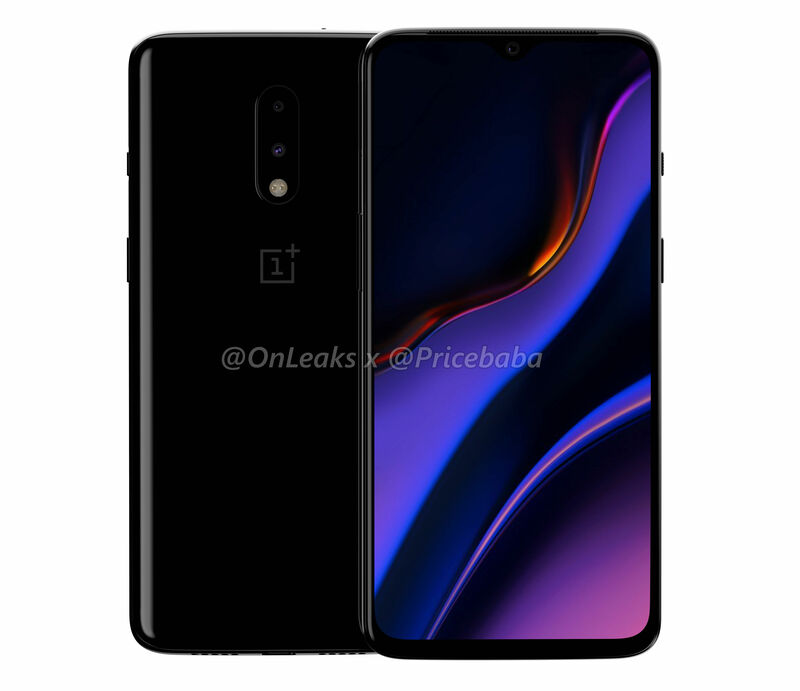 Last year, the company launched its current flagship, the OnePlus 6, on May 16th and this year, it’s likely that they’ll be launching two flagships: OnePlus 7 and OnePlus 7 Pro. 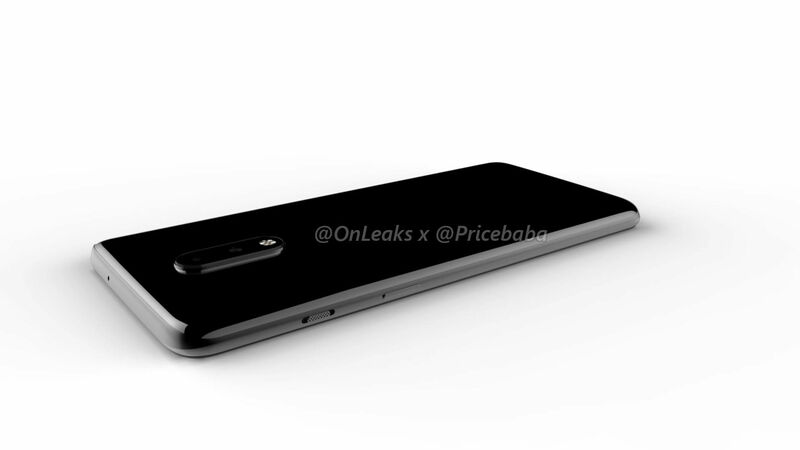 Today, high-quality renders of one of the two rumored OnePlus devices have come out. 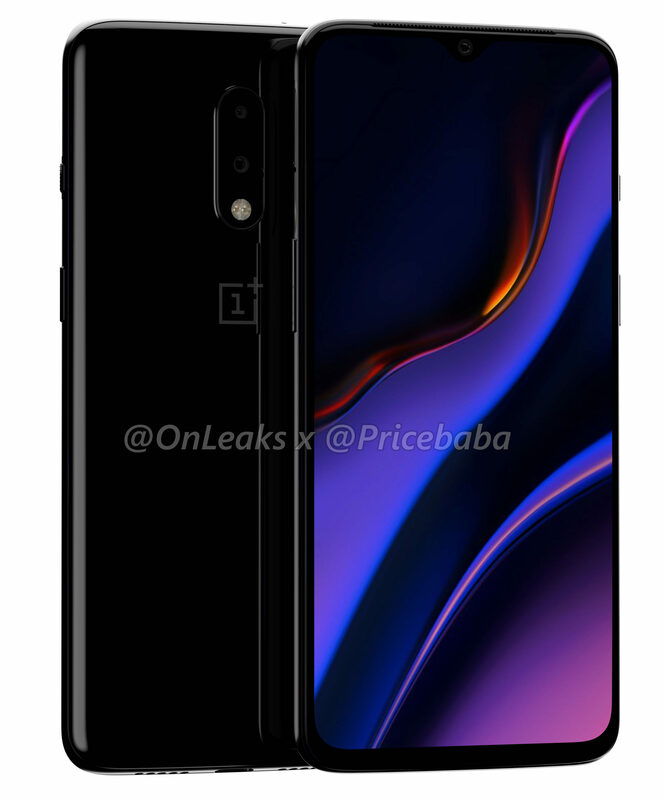 You now have a good idea of how the OnePlus 7 looks like, thanks to the renders shared by pricebaba in collaboration with OnLeaks. 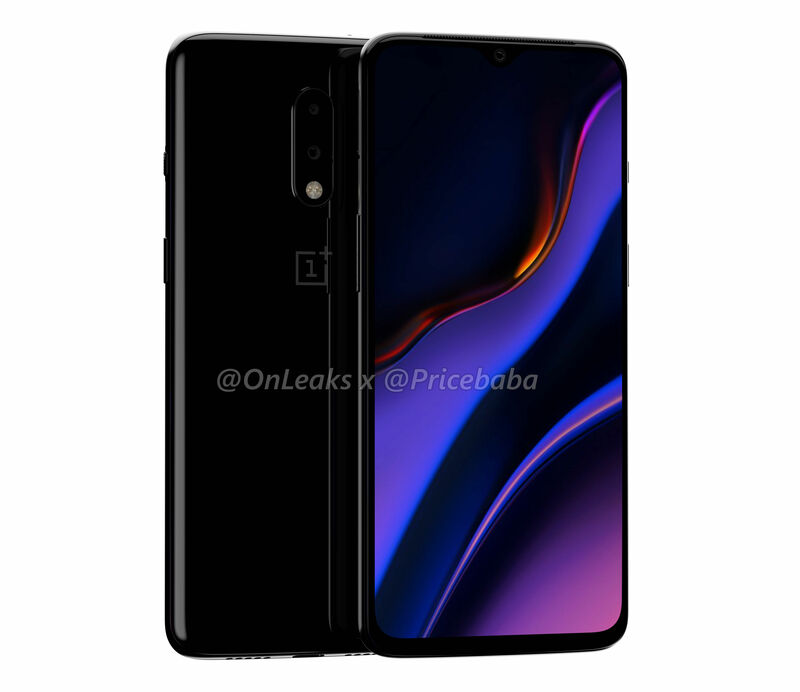 The design of the OnePlus 7 is irritatingly similar to the OnePlus 6. It’s so similar that you might mistake one for the other. 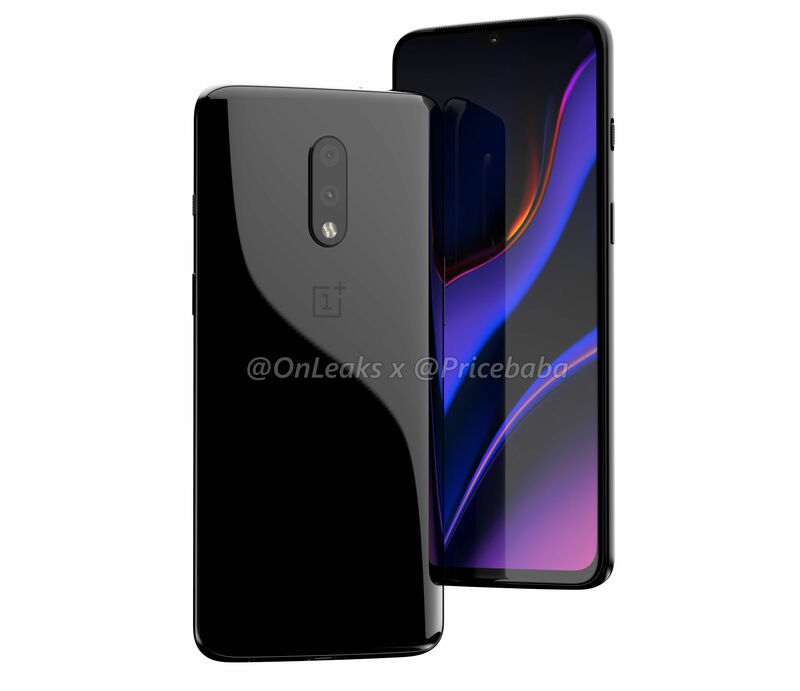 OnePlus 7 features the 6T’s tear-drop design on the front, whiel the back remains nearly ditto, too. The only change to the design is that the LED flash is now on-board with the rear cameras. Where it sat outside the camera module on the back on the last year’s device, it is now nestled in with both the cameras. That’s it. That’s the only design change! Another not so cool aspect is that the camera bump on this OnePlus 7 is said to be slightly more protruding than the 6T. According to OnLeaks, the phone’s overall thickness with the camera bump is 9.5mm. Further, all the buttons and the volume rocker stay at the exact same place. On the left is the volume rocker and sim card tray, and on the right is the power button with the alert slider. The bottom of the phone is carved out for a USB-C charging cable, sandwiched between speaker grills. OnePlus 7’s general dimensions are rumored to be at 157.7 x 74.8 x 8.1 mm and the display on the OnePlus 7 is said to be 6.2-inch Optic AMOLED display, a bit smaller than the 6T’s 6.4=inch panel. The phone also sports an in-display fingerprint reader like the OnePlus 6T but that’s hardly surprising. This OnePlus 7 will be powered by the latest 7nm Snapdragon 855 processor while the base model may offer 6 gigs of RAM, according to the leaks, the high-end model could have 10 gigs of RAM. OnePlus 7 will boot into Oxygen OS 9.x based on Android Pie and could be powered by a 4,150mAh of battery with OnePlus’s own Warp charging technology for faster charging. So, here’s a tweet from the man himself. Pete Lau, OnePlus’ Founder and CEO, revealed that the company has a new device planned on Wednesday, April 17. 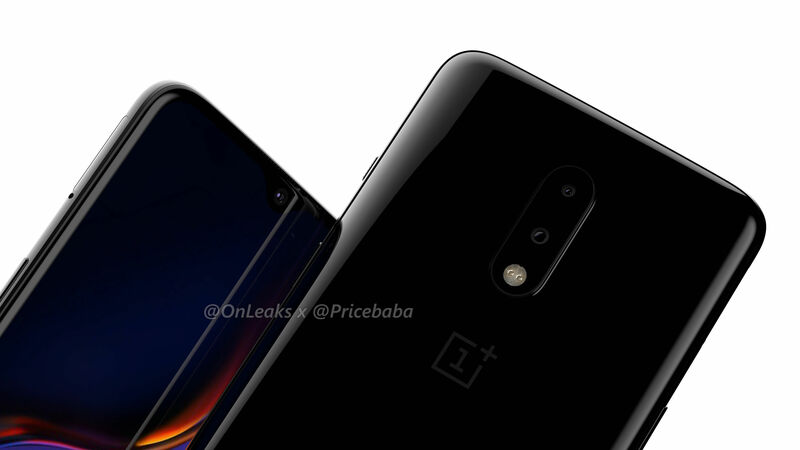 According to some leaks, OnePlus is likely to launch both phones, the OnePlus 7 and 7 Pro, on May 14th. And according to pre-existing trends, it is likely to be offered on Amazon a day later in India. The price tag on this phone is likely to be around $580. With just a month to spare, fans of the flagship are likely to be excited already., on the other hand, and are very much disappointed. But we’re looking forward to the event anyway!